​The Duke Blue Devils have been perhaps the most talked about team in ​college basketball this year, and for good reason. The two-headed monster that is ​RJ Barrett and Zion Williamson have made Duke more must-see television than they already are every year. Both are also expected to be top-five picks in the NBA Draft come June 20. 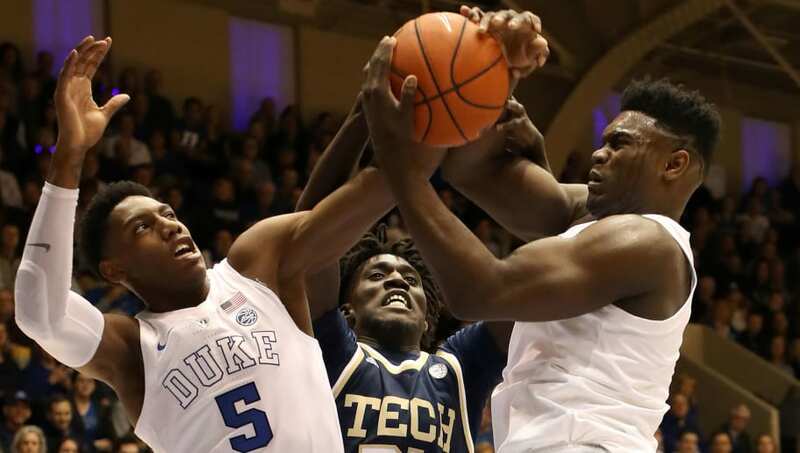 Whether or not either of the two Duke freshmen win this award remains to be seen, but the bigger question has been the health of Williamson coming off that scary knee sprain he suffered vs. North Carolina. Provided the 285-pound forward does get back on the floor this year, that race to the Naismith trophy and the national title could get very interesting down the stretch. Murray State's Ja Morant is also in the mix. Having averaged 24 points per game and ten assists this year, the second-year guard is the one guy from this group who has the name and the game to make this award that much more hotly-contested. ​If Zion doesn't come back by season's end, the award may very well end up a two-horse race between Morant and Barrett, with March Madness soon to follow.